When I think of traveling the United States in the summer I immediately think of rental cars, crowded flights and overbooked hotels. Despite all that, I started to research places to visit with the family over summer break. 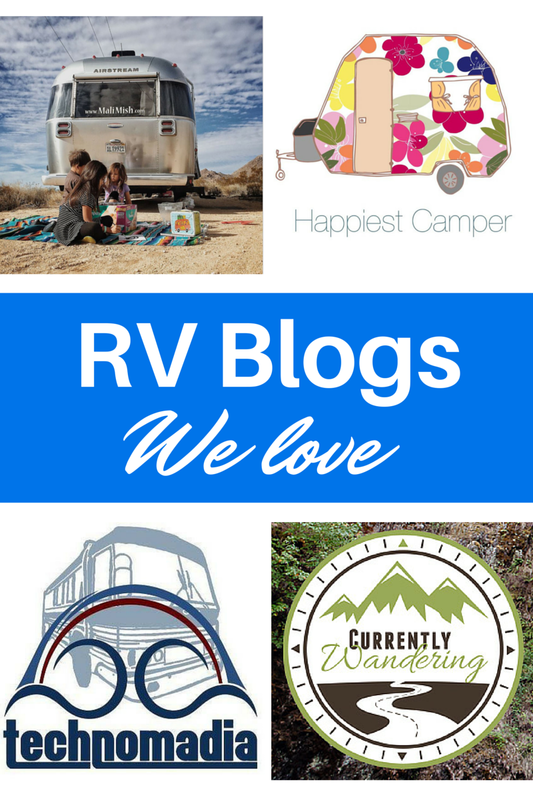 As I was researching ideas, I discovered that there is a whole host of bloggers, writing from the road, specifically from a recreational vehicle. When I think of RV living, I think of camping on the weekends or retirees traveling during their retirement. I certainly don’t think of families, newlyweds and single adventurers creating a home on wheels, in a different state every few days or weeks. Mali Mish means “Little Mouse” and it’s not just the name of the blog but also the name that this family of five bestowed on their Airstream. They have traveled from California to the Florida Keys twice, went to Canada and crossed the country again starting from Maine and the entire Northeast. They are currently working their way to Alaska which will be the 49th state they will visit as a family. The family’s most recent post is their journey from California to Nevada and Utah on their way to the Canadian border. The photos in this one post make me want me to homeschool my own kids from the open road. Follow Mali Mish on Instagram. How do you go from a suburb in Utah to living and working on the open road? Currently Wandering started by traveling to Virginia as part of a house swap. This family of five wanted to try living in another state but after driving to Virginia they preferred the freedom of the open road. I’m particularly fascinated with cooking in an RV. I have a hard time creating meals for the family in a fully stocked kitchen, cooking on the go is pretty impressive. Plus the recipes can be recreated in my kitchen like Grilled BBQ Chicken Pizza and Sweet Potato, Apple, & Avocado Salad. Follow Currently Wandering on Instagram. On the road since 2006, Cherie and Chris combined their love of traveling with technology and created Technomadia (technology + nomad). Together they also built Two Steps Beyond, a consulting, advising, writing and app development company that they run from their Zephyr. Their Zephyr is a vintage, regional, charter bus that was built to hold 41 passengers and their luggage. It was converted to a mobile home and in 2011 Chris and Cherie purchased it and have been making it their home ever since. I’m obsessed with photos of their traveling home as well as reading about the improvements that they have made to it since they bought it including what they plan for the bus this summer. Follow Cherie from Technomadia on Instagram. Heather and her husband Dave are attempting to prove that you don’t have to be rich and retired to travel the road less traveled with the Happiest Camper. In February, they decided on creating a full-time RV life. Breaking it to her parents was harder than expected, but their first two weeks in a partially renovated RV did not scare them off and they are currently parked to finish renovations somewhere in Arizona. It is rare for me at least to follow a blog from its start that shows such promise. I can’t wait to see where the road will lead them. Follow Happiest Camper on Instagram. P.S. Ever wonder how we come up with ideas for our blog profiles? Our handy list of industries and subjects on PR Newswire for Journalists stays top of mind. If you’re a blogger or journalist looking for travel news, let us know. We can customize a newsfeed for you on PR Newswire for Journalists.